Hotel is just like the second home to many people. It should offer security and protection to the customer and their property. However, some accidents like fire are unavoidable sometimes and they often occur unexpectedly. It is crucial for the hotel management to organize ordered and timely evacuation in such cases. By planning a fire escape diagram, hanging or sticking it on visible locations, customers will feel more secured. This is also one way to gain trust from them. Use Edraw and its predefined shapes to do it in an instant. 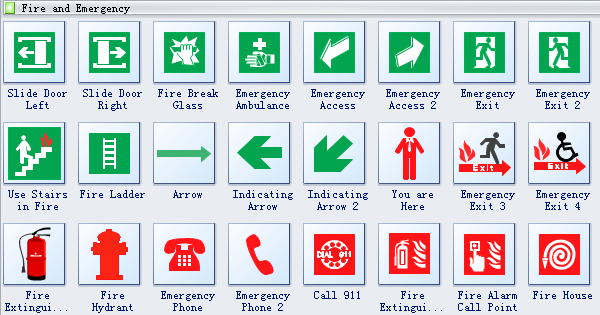 Learn how to create such diagrams in make fire and emergency plans. Fires are a common emergency situation which can be caused by smoking or electricity usage. Dealing correctly with a fire involves making key decisions about safety. 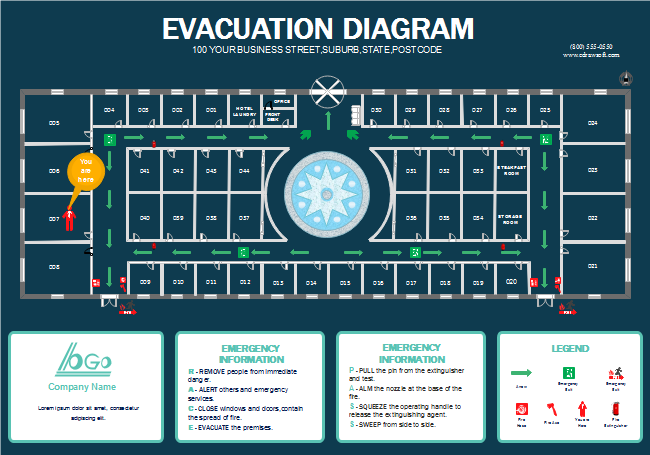 Here are some tips about the emergency response procedure if a fire has started in your hotel. It is surely useful to learn some safety basics whoever you are. The first thing you should do is try to find out the burning object and location. While you are doing this, be mindful of your safety and the safety of others. At the same time, you should prepare to call 911 and explain to them who you are, where you are (tell them the address as detailed as possible), and what you think the situation involves. Next, if the fire is big or getting out of control, you need to evacuate as soon as possible. When evacuating, use stairs and avoid elevators. Keep low to the ground and use wet cloth to cover your mouth and nose to reduce smoke inhalation. Finally, if you need to open any doors, touch the door first to see if it is hot. If it is, try and find another safe route. Look at the fire escape plan you can see so that you can find out the fastest route.